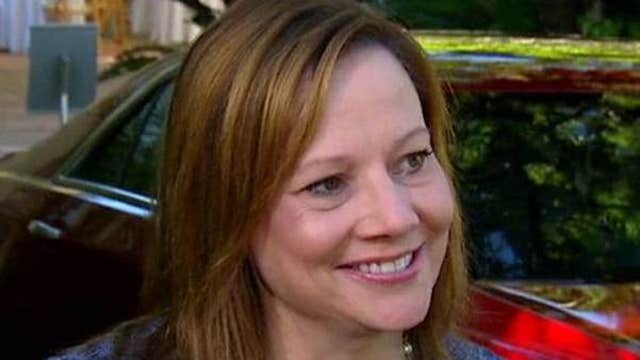 General Motors CEO Mary Barra tells FBN’s Jo Ling Kent the company is focused on doing the “right thing” for its customers and plans to set a new standard for safety in the auto industry. General Motors (NYSE:GM) ordered 500,000 replacement ignition switches almost two months before issuing a recall, according to emails released Monday. The emails, which were sent by employees of GM and supplier Delphi Automotive (NASDAQ:DLPH), reveal on Dec. 18, 2013, the automaker placed an “urgent” order for a half-million parts to repair Chevrolet Cobalts and other small cars. GM’s parts order wasn’t mentioned in a report by former U.S. attorney Anton Valukas, who led an internal investigation for GM, or a timeline of events provided by GM. The Valukas report did note a meeting of GM executives on Dec. 17, but a final recall decision was not made at the time. According to the Valukas report, GM executives decided on Jan. 31 to issue a recall for certain vehicles affected by the faulty ignition switch. The company notified the National Highway Traffic Safety Administration of the recall on Feb. 7. More vehicles were added to the recall, which ultimately totaled approximately 2.6 million vehicles worldwide. The emails were disclosed as part of a court case involving plaintiffs who claim death, injury or economic losses from the ignition-switch defect. A judge has set a trial date of January 2016. Attorney Bob Hilliard, who is representing plaintiffs in the lawsuit, said GM should have notified customers of the problem when it decided to order replacement parts. In a letter sent to vehicle owners following the official recall, GM advised drivers to remove extra items from their key rings. GM on Monday reiterated that it made changes to the way potential safety issues are handled inside the automaker. After the ignition-switch recall, GM said it would act on recommendations included in the Valukas report. The company also created a new position, vice president of global vehicle safety, to oversee quality concerns. Delphi declined to comment on the emails. GM has been under a microscope since its ignition-switch woes began. In a chronology filed with NHTSA, GM said company engineers were aware of a possible defect about 10 years before the recall. As of Monday, a compensation program has determined that 32 deaths are linked to the ignition switches. NHTSA slapped GM with a $35 million fine, the maximum penalty when a manufacturer misses the regulator’s deadline for filing a recall notice. Chief Executive Mary Barra has said she first learned of the problem in late December, when she was still serving as head of global product development and purchasing and supply. Barra took over the CEO role on Jan. 15. The nation’s top seller of cars and trucks also recalled millions of other vehicles for a variety of issues this year as part of an accelerated safety review. The defective ignition switches can inadvertently turn off the engine and cut power to safety features, including airbags. GM told owners to use just the ignition key because extra weight could force the key out of the “on” position. GM shares fell 2% to $30.96 in recent trading.